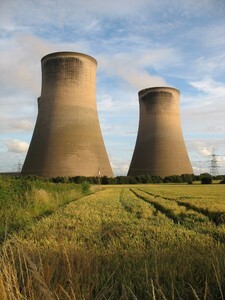 EDF Energy has temporarily closed down two nuclear power stations in the UK. Both power stations are currently closed after a defect was found in one of the boilers at Heysham 1 in June of this year (2014). As a precautionary measure, all four reactors across Heysham 1 and Hartlepool have been shut down by EDF because of they have a similar design to the boiler unit causing the issues. Investigations are taking place to ensure the safety of all four reactors, with inspections expected to take around eight weeks to complete. According to the Office for Nuclear Regulation (ONR), a crack in one of Heysham 1's boiler units is the reported cause of the problem. The ONR have also reported that EDF Energy must fulfil its requirements to ensure the reactors are safe to be used again. A spokesperson from ONR said: "ONR is satisfied that EDF Energy is taking appropriate and conservative action in the interests of continued nuclear safety, and that they are seeking to obtain positive confirmation of the condition of the boilers. "There has been no release of radioactive material and no persons have been injured." Owned by the French government, EDF runs seven other nuclear power stations up and down the UK. Due to the low demand of energy over the summer months, the National Grid is actively assuring UK homeowners that there will be no effect to their electricity supplies as a result of the temporary shutdowns.